Stax Records has been enjoying the label’s celebration of its 60th anniversary this year with reissues of classic Memphis soul albums and the release of a slate of Stax Classics CDs covering artists like Isaac Hayes, Otis Redding, Sam & Dave, Carla Thomas, and others. On July 21st, 2017 Stax will reissue the long-lost, self-titled 1969 album from the cult blues band Moloch as both a 180-gram vinyl album and as a high-resolution digital download. The album will be packaged in a single-pocket, old school-styled cardboard jacket with a printed inner sleeve with new liner notes by writer Bob Mehr. 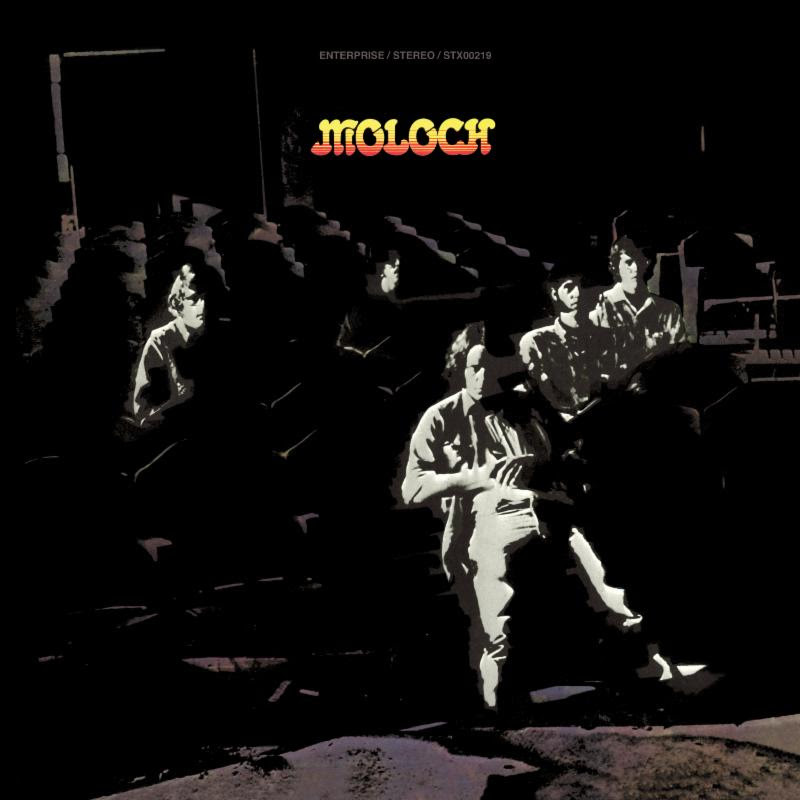 Moloch was comprised of singer Gene Wilkins, guitarist Lee Baker, bassist Steve Spear, keyboardist Fred Nicholson, and drummer Phillip Durham. The band was a popular mainstay of the late ‘60s Memphis rock scene, their sound a high-octane blend of blues, rock, and soul filtered through psychedelic influences. The band’s lone album was produced by Memphis roots ‘n’ blues legend Don Nix, who wrote most of the material including his song “Going Down,” which would later become a blues-rock standard covered by artists like Freddie King, Gov’t Mule, and Stevie Ray Vaughan, among others – but Moloch put their stank on it first. Moloch’s 1969 album is a bit of an anomaly for Stax, tucked in between releases by stone cold soul artists like Isaac Hayes and Sam & Dave. It was an important release, however, as influential on the development of the stateside blues-rock scene as Eric Clapton and Cream’s first album was on British blues. The band’s late guitarist, Lee Baker, was an underrated but imaginative player whose influence would spark the creative muse of a younger generation of Memphis pickers, including Luther Dickinson of the North Mississippi Allstars and Steve Selvidge of the Hold Steady. Long available only as a pricey import CD, here’s your chance to grab a bona fide slab of Memphis blues on glorious black vinyl!